African Routes: www.africanroutes.co.za Specialize in camping and overland tours for both youngsters and older travelers. Bird Watch Cape: www.birdwatch.co.za Cape Town based twittching outfit, offering day trips and overnight tours. Bundu Safaris: www.bundusafaris.co.za Budget yet high quality overnight safari tours with a focus on backpackers. Thompsons South Africa: www.thompsonssa.com A company focusing on high end multi-day safaris across most of South Africa’s national parks. Wilderness Safaris: www.wilderness-safaris.com A luxury lodge and safari operator who offer a selection of niche wildlife viewing tours, including cycling safaris, bird watching and a specialized botanical tour. Wildlife Safaris: www.wildlifesaf.co.za Johannesburg-based safari operator specializing in small, customized trips to the nearby Kruger and Pilansberg National Parks. 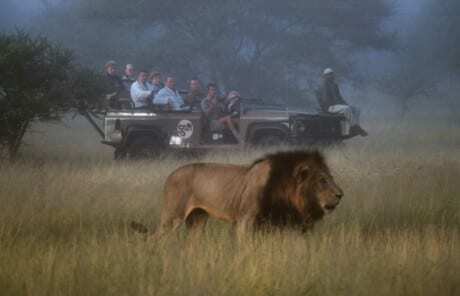 Have a recommendation for a good safari tour operator in South Africa? Let us know. View safari companies in other Africa countries or read our reviews of South African national parks.